''''Story of my Heart 2''''. 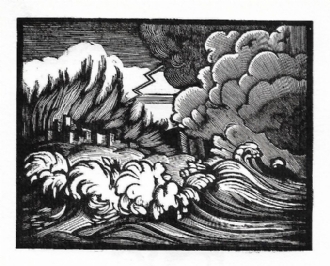 Woodcut, printed from the original woodblock in 1923 by Duckworth. Text backed, measures 8.5cm x 11cm plus borders. Mounted.